It makes sense that one sees so many bicycles in Florida. The weather is almost always right for riding a bike. From beach bums to fitness freaks to seniors staying socially connected, everyone has a particular reason for riding. Have you noticed, though, that the bikes are as different as the people who ride them? This is important when it comes to personal injury lawsuits involving bicycle accidents. The plaintiff can only win the case if there is virtually incontrovertible proof that the accident was the result of negligence on the defendant’s part. Especially if the defendant in the case is a bicycle manufacturer, the plaintiff will have to show that he or she was using the bike as it was intended to be used. At first, it might seem that there is only one way to ride a bike, and that as long as you are not wearing headphones or executing daredevil moves among vehicular traffic, you are following all the safety rules. Actually, though, each type of bike is only guaranteed to be safe if you ride it in certain conditions. There simply isn’t one type of bicycle that can do everything. When you buy a bike, you choose it based on how and where you want to ride it. These are some of the most popular types of bikes in Florida and where you can be sure it is safe to ride them. Beach cruisers – Florida’s flat terrain and abundant paved sidewalks are ideal for beach cruisers. These bikes are designed to be stable and easy to ride, which is why they are so popular with children and casual riders. The rider sits upright on a cushioned seat, and the bike’s wide “balloon tires” further add to its stability. Beach cruisers even brake quite well on wet pavement. They are not, however, built for speed. Most models are single-speed, but even the three-speed models cannot reliably keep up with cars. They are great for riding in the neighborhood or on beach boardwalks, but do not try to ride them in traffic. Road bikes – Road bikes are similar to racing bikes and are designed for riding on paved roads or bike trails. Speed is their main concern; they have narrow seats and low handlebars, so the rider has to lean forward. Their narrow tires make them more aerodynamic, but less stable. The lack of traction and relative difficulty of braking makes them unsuitable for wet roads. Comfort bikes – These bikes are like a faster version of a beach cruiser. They have an upright riding position, but the tires are narrower. Also called roadsters, they are suitable for commuting. They are very popular in cities in Europe, where suburban sprawl has not made cars as much of a necessity as they are in Florida. 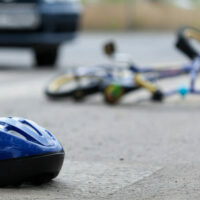 Bike accidents can still happen, even if you are doing everything to be safe. Contact Bundza & Rodriguez in Daytona Beach, Florida for a consultation about your bike accident case. We can help you recover the compensation to which you are entitled for your injuries.